Help me welcome authors CD Hersh to The Bodice. So, what can you tell us about yourselves? We are a husband and wife writing team who have been married for 43 years. We met in high school, got married in college, started writing plays and dramas for our church about 16 years ago, and paranormal romance about 6 years ago. We like to travel, go to movies, and just hang out together. Wow! 43 years is a long time! And it sounds like you totally enjoy your time together. That’s awesome. Do you have a day job? Up to two years ago Donald worked for the government and Catherine worked from home as a freelance writer. Donald is now retired. We are working that out on a day-by-day basis. Retirement hasn’t made it easier because we keep finding more things to do. Catherine likes to garden and now has pulled Donald into doing day labor. He says “So much for relaxing.” LOL. The rest is just keeping our calendar updated. Smartphones are a help with that. Donald’s would be Tom Swift, Hardy Boys, and Sherlock Holmes. They fueled his love of SiFy and mystery. Catherine’s is Lord of the Rings because she loves the fantasy world created there and Stranger in a Strange Land again because of the SciFi element. We love Gibbs on NCIS because he is able to communicate so succinctly. We’ve even used some of his characteristics for one of our characters. We like Gibbs in this household too. What are your interests outside of writing? Reading, movies, traveling and gardening. Catherine’s hillside garden is an award winning garden. I like to travel, even if it’s just for a car ride. I’ll happily go anywhere, but I love hearing about vacation spots (seriously, I missed my calling as a travel writer). Why don’t you tell us about your favorite vacation. There are so many favorite vacations because we like to travel. In fact, we’ve managed to travel a lot since Donald’s retirement. Our favorite destinations that we have consistently gone back to are Williamsburg and Disney World. If you’re willing to share, what’s one of your most embarrassing moments? The only reason I ask is because I am the queen of the embarrassing moment. Catherine seems to have the habit of falling up the steps, down the steps, out of the closet and out of the flower beds. Good thing we have good insurance. Let’s talk a little about your writing. Answer as many or as few as you want. Here’s the cover. We can’t really think of any particular author as we both read many genres. Of course, our favorite books would lead to those authors influencing our work. A road sign in New York. We often do our plotting as we travel, because it makes the time pass. On one trip we were looking for something new to write about and we saw the sign for Turning Stone, New York. One idea led to another and the Turning Stone Chronicles series was born. Get involved with a critique group and local writing group and learn your craft. 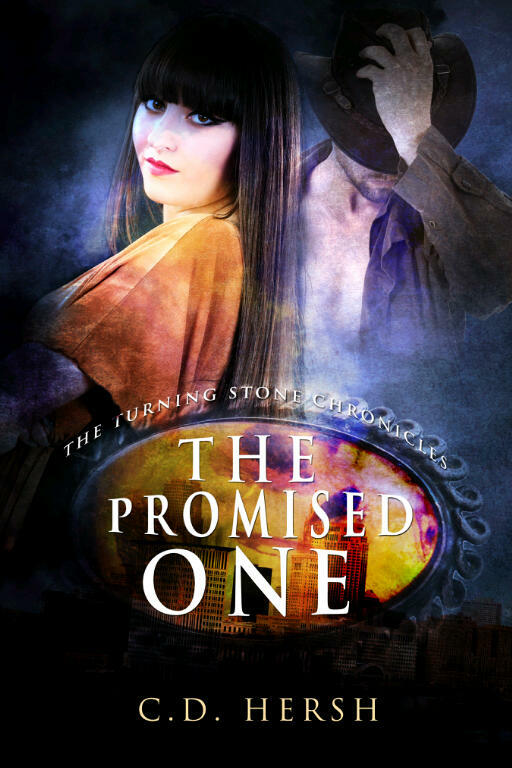 The Promised One (The Turning Stone Chronicles) is the first book in a paranormal romance series. A magically based shifter society is living among us, and the good and evil factions are fighting for control of the world. The book was just released in ebook form for Kindle July 10, 2013. It was great to have you guys here! Good luck with this release. It sounds great! Today, my children actually fought over a coat hanger. Huh. I did this to myself on purpose. 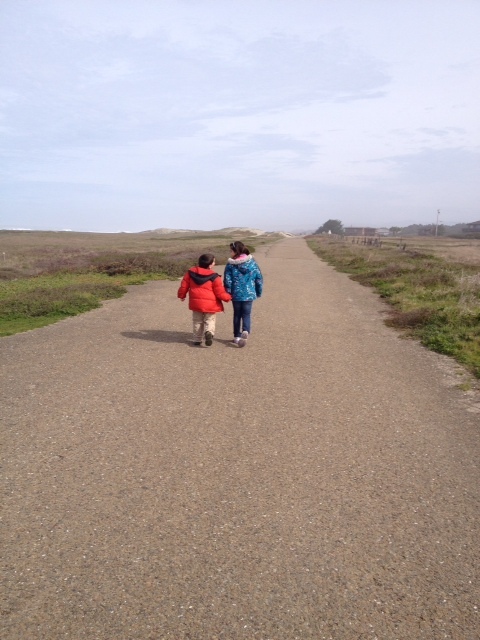 I think I’ll try to remember these moments, instead….